CBRNE Defense - EXCET, Inc.
Excet is one of the few companies that offers active chemical agent and biological agent surety/PRP programs. Excet’s founder and President, Mr. Richard Matuszko, has been working in the CBRNE defense field for over 28 years, offering a wealth of experience and expertise to the company and its’ clients. Excet currently has three contracts with ECBC, including a prime award on the small business task order contract. Excet maintains proficiency in CB agent chemistry/properties, with unique expertise in, biological detection, genomics, bioinformatics, decontamination, analytical chemistry, and stand-off detection. For more details on our CBRNE capabilities please refer to our Scientific Services Capabilities Statement. Excet has expertise and many years of experience in the specialized discipline of detection and identification of chemical and biological (CB) warfare agents. 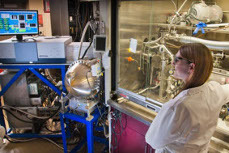 Our scientists and engineers have developed the basic and applied science to support the development and acquisition of new, state-of-the-art CB detection and identification materiel. Excet engineers have advanced the combined use of mobile ground sensors, discreet sample collection, and analytical technologies to address technical and operational capability gaps with respect to search, detection, and identification of CB threats. Our subject matter experts (SMEs) are well versed in sensory sciences, and have extensive knowledge of operational mission needs of the Warfighter. Excet scientists have extensive experience with bacterial pathogen genome sequencing and characterization. Our capabilities and experience expand beyond shotgun sequencing to include sequence finishing and transcriptomics, with a fully dedicated bioinformatics pipeline. 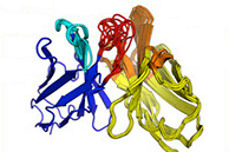 In addition to bioinformatics analyses of genomic data generated at ECBC, we provide assistance in taking a DNA sample to a fully sequenced and finished genome and apply advanced structural and bioinformatics/statistical techniques to library design and computationally-directed protein engineering. 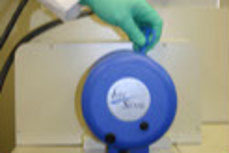 Excet’s specialists provide analytical capabilities with superlative quality and efficiency, and cover the full complement of traditional techniques, such as LC-MS, GC-MS, NMR and other spectroscopic methods. We excel at methods development, tailoring each testing procedure to a particular application in order to best answer the specific scientific question at hand. Moreover, our ability to integrate with Government facilities and general workplace culture results in exceptional productivity on a per worker basis. For these reasons, Excet scientists are frequently called upon to train their non-Excet colleagues. Excet heavily supports ECBC’s Aerosol Sciences Branch (ASB), providing expertise in both biological and chemical aerosol behavior. Our scientists, in conjunction with ASB, develop novel instrumentation to characterize aerosol physical and chemical properties. Additionally, we support the development of technologies to reliably generate well characterized aerosols. This and other detector work supports aerosol detector development. Excet provides technical support to ECBC’s Laser Standoff Detection programs. We test and collaborate in designing active standoff detection systems with particular emphasis on Infrared/Raman detection techniques. 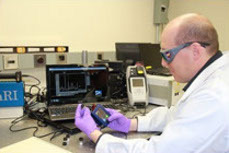 Raman spectroscopy is a backscatter phenomenon which provides unique and identifiable ‘fingerprints’ of chemical compounds, allowing warfighters to determine identities of chemical, biological, and explosive threats reliably at safe distances with no sample preparation or destruction. Excet conducts research at the forefront of new laser detection methods and the evaluation of future detection systems. Excet has experience and expertise in providing engineering support, and recently developed the overall and subsystems design for the Whole System Live Agent Test (WSLAT) project to test new biological detectors with aerosolized live biological agent. 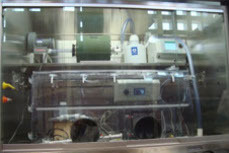 Our responsibilities included the development of the aerosol generation system, formulation testing and analysis, collection and detection systems, aerosol removal, and aerosol conditioning system; facility HEPA filtration system; biological stimulants development; and Computational Fluid Dynamics (CFD) modeling analysis for the design of the aerosol circulation chamber. 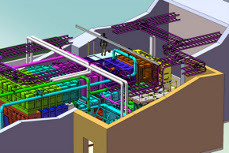 This multi-year program required extensive coordinating of scientific and engineering resources in order to achieve a successful fabrication and implementation of the WSLAT project. Excet uses analytical systems for the quantification of permeation of chemical agents and certain toxic industrial chemicals, providing a basis for establishing the chemical resistance of selected materials. Excet adheres to established protocols for the separation and identification of permeating chemicals using various analytical techniques, as well as developed and enhanced analytical techniques. Excet has been using Programmable Logic Controllers (PLC) systems to control instrumentation and collect data in industrial hazardous and chemical warfare environments for more than a decade. We have developed programs for calibration, data collection, and automation with documented comment blocks or lines explaining different parts of the program and the logic behind the code. We use PAC Project or LabVIEW software to create programs for industrial automation, remote monitoring, and data acquisition. Excet has experience designing test environments for chemical and biological studies across multiple disciplines.